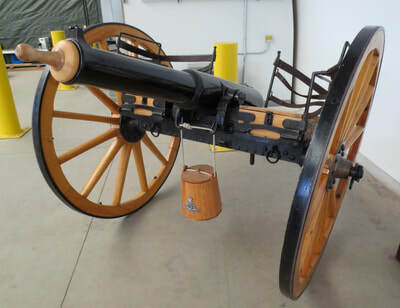 The 30th Field Artillery Regiment RCA (The Bytown Gunners) have used their 9 Pounder, Mark I, 8-cwt, Rifled Muzzle Loader for Land Service to complement their ceremonial salutes and other events for many years. The addition of members dressed in period costumes provides a reach back into their history. The gun is located at the Bytown Gunner Firepower Museum in Ottawa, Ontario. 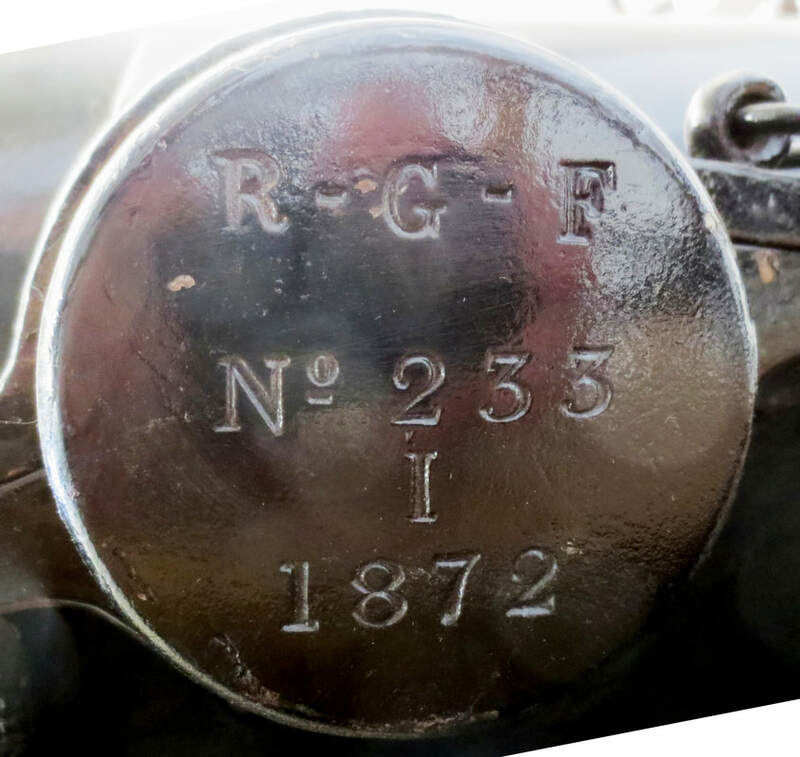 Front, side and rear view - 9 Pounder RGF No 223 is in very good shape. The wheels appear to be of the original design and the gun appears to be outfitted with a considerable quantity of stores. 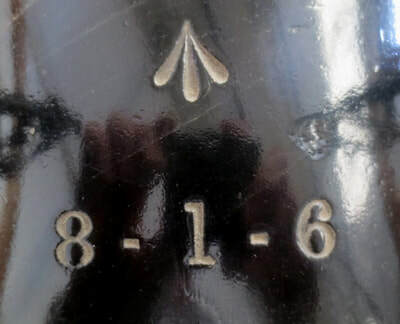 Cypher, stamps and other markings - The numbers close to the breech (8-1-6) represent the weight of the barrel (hundredweight-quarters-pounds) which would be equivalent to 930 lbs. The arrow indicates it has been proofed and accepted for service. The trunnion is stamped R-G-F No 233 I 1872 which would indicate that it is serial number 233 manufactured in 1872 in the Mark I design. 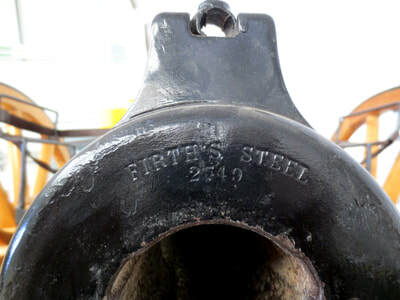 The end of the barrel is stamped Firth's Steel 2549 which indicates manufacture by Thomas Firth and Sons. Wheels - The wheels appear to be of the original design. Gun Stores - The gun appears well equipped. Details to follow.